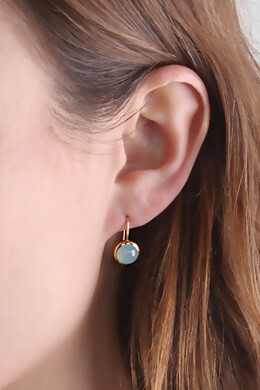 Our exclusive Sterling Silver Collection: Classic and beautiful 18 karat gold plated polished 925 Sterling silver drop earrings. 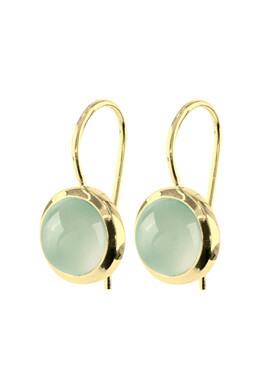 This pair features a cabochon cut green amazonite stone. With fish hook closure.